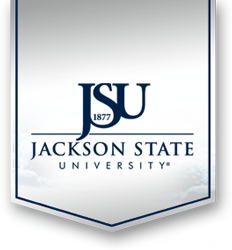 Providing Jackson State University students, faculty, staff and visitors with a safe and secure environment is priority for the Jackson State University Police Department. We will continue in our efforts to provide the level of professionalism that is conducive for a safe campus community. The JSU Police Department has developed an appreciation for the community oriented policing concept and practice. This practice provides guidance by which the department can strengthen its many positive attributes. With input from the campus community, departmental personnel, community oriented policing lays the foundation for substantive improvements in all aspects of the department's operations and serves as a public statement for the department of its goals and objectives for improvement. It is important that the Police Department has a philosophy that is consistent with contemporary policing standards and campus expectations. For this reason, the department is committed to providing service throughout the campus in a manner that is responsive to campus community concerns. This commitment is clearly evident in our department's mission statement and values. It is and will be the responsibility of all members of the department to carry out their duties and responsibilities in a manner that is consistent with this mission. The department's values will incorporate and reflect the expectations, desires and preferences of the campus community. We will continue in our crime prevention efforts to ensure that the campus is a safe place for students and visitors conducting business on campus. As the Chief of Police for Jackson State University, and on behalf of the men and women of the department, we look forward to being of service to members of the Jackson State University community and continuing to provide a safe and secure environment for each member on a daily basis. Thanks must be given for the cooperative effort of everyone at Jackson State University.